Those who today enjoy drinking the beers produced by New York’s F.X. Matt Brewing Co. have soft drinks to thank. It was soda production that helped the Matt family business stay afloat through the 1920s and early ’30s, when producing and selling alcohol became the business of bootleggers. Once Prohibition ended, beer production resumed and soda fell by the wayside. The brewery began making root beer again in the 1960s exclusively for taps at its tour center in Utica, New York. While visitors would often request root beer for the road, it wasn’t until the early 1990s that F.X. Matt Brewing Co., now best known for the Saranac line of beers, began bottling its sodas again. Today, it offers six soft-drink flavors, including a Black Cherry Cream based on a company recipe that’s more than 80 years old. As an increasing number of consumers demand craftsmanship and quality in beer and soda alike, more breweries are developing and bottling their own specialty soft drinks. Some make them as a nod toward their Prohibition-era history, or hope the soft drinks fill a niche for nondrinkers, soda snobs and mixologists that mainstream products can’t. But they don’t expect to compete on the same level as international powerhouses Coca-Cola, PepsiCo and Dr Pepper Snapple. That doesn’t mean the larger companies haven’t noticed. 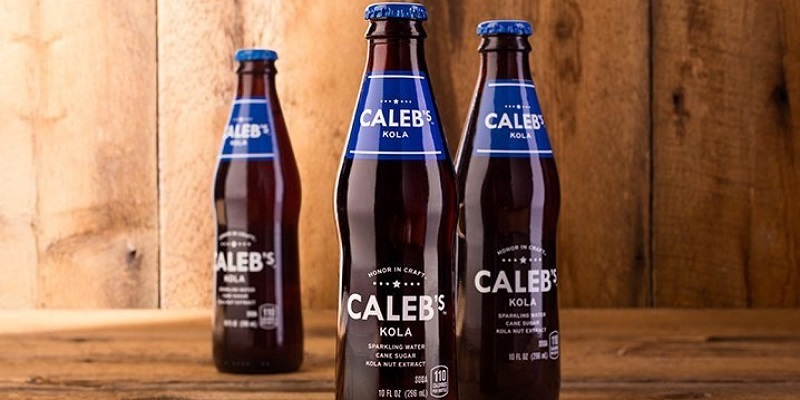 In late 2014 Pepsi launched Caleb’s Kola, its own version of a “craft soda” made with cane sugar and kola nut extract, in an effort to combat declining sales and attract buyers who want fresh, local products with fewer processed ingredients. 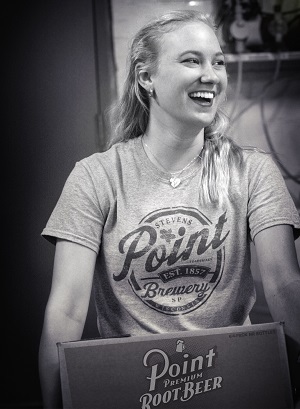 Stevens Point Brewery has produced Point Premium Root Beer since 2002. At Wisconsin’s Stevens Point Brewery, Joe Martino and his partner Jim Wiechmann wanted to become part of that movement when they bought the business in 2002 and introduced Point Premium Root Beer that same year. Bottling orange soda, lemonade and cola helped Stevens Point, in continuous operation since 1857, survive Prohibition, so the move paid homage to the brewery’s history while also offering an attractive alternative at events where not everyone wanted a Point pale ale or pilsner. Since 2002, Stevens Point has expanded its distribution and its nonalcoholic offerings, which now include half a dozen flavors. “It’s certainly not an explosion, but it’s been a slow and steady growth,” Martino says of soda sales, which now account for about 10 percent of the business. The ratio is reversed at Excel Bottling Co., which has been producing and packaging sodas made with cane sugar since 1936 in Breese, Illinois, and introduced its own line of beers in 2012. Bill Meier recalls his grandmother Catherine would often phone on weekends, asking him to arrange a Sunday delivery for retailers and restaurants running low on Ski soda or Frostie Root Beer. 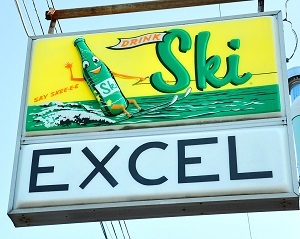 Excel Bottling Co. has produced sodas since 1936. Meier, Excel’s general manager, still gets plenty of calls from customers, but he knows tastes are changing as health-conscious consumers shy away from sodas, cutting the odds he’ll be giving orders to his own grandkids someday. Beverage Digest recently estimated U.S. per-capita consumption of carbonated soft drinks fell to its lowest level since 1986. Those declines are one of the primary reasons he wanted to branch out into beer, which now accounts for about 10 percent of Excel’s volume. The desire to diversify also drives beer makers who want to expand their brand beyond the beer aisle and generate loyalty for those whose drinking days are ahead of them. Sodas appeal to families who want their kids to see tap-room visits as a treat as well as to designated drivers. Grocery store chains are also expanding their offerings beyond Coke and Pepsi for younger consumers who cringe at the thought of high-fructose corn syrup and favor fancy foods like fresh-baked breads and gourmet cheeses. Soda production is also a way to appeal to locally sourced restaurants like Beast Craft BBQ Co. in Belleville, Illinois. Beast offers only Excel brands at its soda fountain and also stocks a few of the company’s beers, including Böse Roggen and Eastside IPA, in its cooler of bottled beers. For the most part, exclusive contracts with Coca-Cola and Pepsi still dominate the restaurant industry. But even a chain like Buffalo Wild Wings is willing to introduce new beers on a rotating basis. The same usually can’t be said for soda, since exclusive contracts still dominate the restaurant industry, Meier says. According to the Brewers Association, the trade group for small and independent craft brewers in the U.S., in 2014 craft brewers reported an 18 percent increase in production value and a 22 percent increase in retail dollar value, bringing it to an estimated $19.6 billion. That growth and the fact that beer is much more lucrative than even premium-priced gourmet sodas is one reason analysts don’t expect brewers to give up cream ale in favor of cream soda any time soon. Still, craft soda is a bright spot in a challenging industry long dominated by low prices and aggressive advertising rather than real innovation and quality ingredients. Charlene Oldham is a teacher and freelance writer based in St. Louis. Her work can be found at charleneoldham.com.